As some of you know, I've started training for triathlons lately, which is a large part of the reason why I haven't been around as much in the last few weeks. I finally had my first race today. I thought I'd share my experiences, even though most of you probably don't care. I did the sprint distance, which was a 750 meter swim, 12.5 mile (20km) bike, and a 3.1 mile (5km) run. The swim stage went surprisingly well for me. I played down my expectations for it and expected to finish in the upper-mid pack and just wanted to relax. But I guess all my training paid off, because I was actually the second one out of the water. It was pretty disorienting coming out of the water, but I managed. The bike stage was pretty easy. There were a *ton* of people on the course because they had a staged start (small groups of athletes started at 5 minute intervals). I did pretty well and I passed a ton of people, and only got passed by maybe a dozen others. By the time I got to the run stage though, I was tired, I was dehydrated, and I was over heating. The sun had come out by then and it was incredibly hot in Austin today (I think we set a record high). I ran the slowest 5K of my life by a large margin and it felt horrible until I sprinted in the last 400 meters or so. All in all, it was really fun and more difficult than I thought it would be. Best of all, when the final results came out, I found that I won 1st place in my age division. Not bad for my first triathlon, eh? Anyway I plan on doing one race a month ending in October, so maybe I'll update this thread and let you guys know how my season progresses. First in your division? That's awesome! Nice record. I wish I was in such a good shape. Roots wrote: All in all, it was really fun and more difficult than I thought it would be. Best of all, when the final results came out, I found that I won 1st place in my age division. Not bad for my first triathlon, eh? Anyway I plan on doing one race a month ending in October, so maybe I'll update this thread and let you guys know how my season progresses. You don't ever do anything below 110 percent, do you? I can't even imagine watching someone put themselves through such an intense activity let alone actually participating. Congrats on doing well. I had planned to do at least one triathlon a month, but there are no good local races this month that aren't sold out already. So today I did my first duathlon. Most duathlons have a format of run-bike-run, but I did a "double du" this morning, which was a run-bike-run-bike-run. Each run stage was 2 miles (3.2 km) and each bike stage was 10.6 miles (17.1 km). I won my age division and got 10th place overall. This was a much smaller race than the triathlon I did last month. There were some crazy powerhouses out there though. In fact there was an older guy in my race who was once the world record holder for the marathon with a time of 2:09 something. Roots wrote: There were some crazy powerhouses out there though. In fact there was an older guy in my race who was once the world record holder for the marathon with a time of 2:09 something. Was he dressed like this? 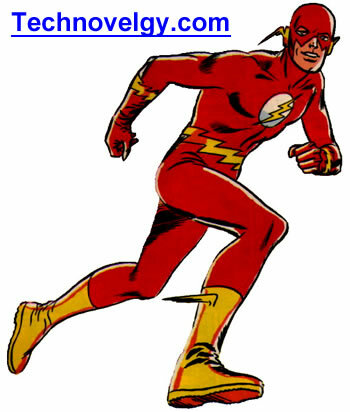 Too bad he's not the fastest man anymore. Awesome stuff, Roots. Keep it up. I finished two more triathlon races this month. The swim sucked for me on this one because I got trapped in a pack of slower swimmers and couldn't break out, so my swim time was awful. The bike was okay but could have been better. The run was absolutely awesome for me though. I was hoping to finish the 5K in about 20 minutes and I finished in 20:23, so just a bit short of my goal. Overall my time was 1:15:37. This race was formatted differently than the standard split into age groups. I competed in the single male individual division, so I was racing with men of all ages rather than just my age bracket. I got 9th place, which isn't bad considering how poorly the swim and the bike went for me. I was seeking revenge on the swim in this race because I was still upset over the last one, and I got it. My pace was 1:41/100m, which was much faster than my 2:15/100m pace at the race the weekend before and even better than the 1:46/100m I did at my first triathlon back in May (where wet suits were legal, and I finished 1st in the swim wave there). The bike was going well until about 5 miles in, and then my back started giving me problems and I slowed considerably. So many people passed me on the bike stage it was very disheartening. I thought for sure after the bike that I was no longer in the running for the top 3 in my age group, so I decided to just take it easy on the run and enjoy the rest of the race. After finishing I learned that I had actually managed to take 3rd in my age division and the guy who took 2nd was only a few seconds ahead of me. I was damning myself for taking it easy on the run, and then I learned that my run pace was amazingly enough 6:40/mile, which is only 5 seconds slower than the pace I ran at the last race (which was much shorter). I finished the race in 1:56:21, although for some reason a ref gave me a 2 minute penalty for drafting during the bike stage (still don't really know why...I couldn't keep up with anyone). My next three triathlons are below. These are probably the last three tris for this season, and then I'm going to take a short break and get back into running shape for the winter.